Australia welcomes people seeking better living standards in the form of higher income, better access to health and education and improved prospects for their future. Australia consistently ranks 2nd best country in the world in the Human Development Index HDI) since 2010. HDI is tool developed by the United Nations to measure and rank countries' levels of social and economic development based on four criteria: Life expectancy at birth, mean years of schooling, expected years of schooling and gross national income per capita. The humanitarian component is for refugees and others in humanitarian need. 20,000 places are planned for this program plus additional 4,000 places for the family reunification of humanitarian entrants. The migration component consists of skill stream migrants, family stream migrants and special eligibility migrants. 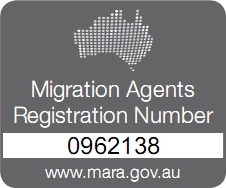 This online selection system was introduced by the Department of Immigration and Border Protection in July 2012 to manage skilled migration visa processing by selecting skilled and business migrants at the levels in which they are needed by the Australian economy. Prospective migrants are required to submit Expression of Interest for the points based skilled migration and business innovation and investment visa programs. Applicants will be ranked according to the appropriate points test and invitations are issued to the best available prospective migrants. To find out if you can qualify for Points-based Skilled Migration, please e-mail your resume to info@southernimmigration.com.